Globe Telecom, through its enterprise information and communications technology arm Globe Business, was tapped by Concentrix, a global business services company that offers enhanced capabilities in advanced analytics, enabling technologies, and non-voice services, to provide data and connectivity services for its new, state-of-the-art facility called the Tera Tower. 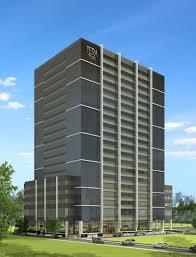 The Tera Tower will accommodate Concentrix’s growing number of employees. It is a part of a larger compound project called the Bridgetowne Campus, which will occupy a total of 57,000 square meters of property in Quezon City. This project currently complements the other campuses Concentrix currently operates in other parts of Metro Manila and provincial sites. The Tera Tower is designed for Concentrix’s operations and back office work, as well as a dedicated recruitment hub on its ground floor. It aims to create a relaxed and convenient workspace with easy access to various transportation, residential, retail, dining, and entertainment areas. As a data and connectivity provider, Globe Business bolsters Concentrix employees’ productivity with fast, secure and dedicated access to Internet. “Globe Business shows its passion by enabling our clients to do more of what they were meant for. Bringing in the right technology and know-how through our data and connectivity services allows Concentrix and their clients to improve work efficiency and productivity that will help them transform their business for the future,” said Globe Senior Advisor for Enterprise and IT-Enabled Services Group Mike Frausing. Ensuring uninterrupted business for clients such as Concentrix, Globe is investing over $2.2 billion in network and IT infrastructure to enhance capacities of its data network and augment legacy-related investments. The bulk of its $750 million capex this year is allotted to the deployment of fiber optic cables in 20,000 barangays or about two million homes nationwide. This allows higher download and upload speeds, lower latency, and faster Internet browsing and streaming of high-definition multimedia content for higher bandwidth and better speeds for enterprises and subscribers. Concentrix, a wholly owned subsidiary of SYNNEX, has operations across 25 countries, with approximately 90 delivery centers. It has more than 70,000 employees servicing more than 400 clients in more than 40 languages. The company has a large delivery footprint in India, the Philippines, Europe, Asia/Pacific, North America and South America.